Fridge empty, no wine, no food, and as much as it is nice here, we decided to move on. Big debate as to whether to go to Massane, which we love, but where we were only four months ago, or somewhere new, or to somewhere we had been before but not for a while. Last option, then. 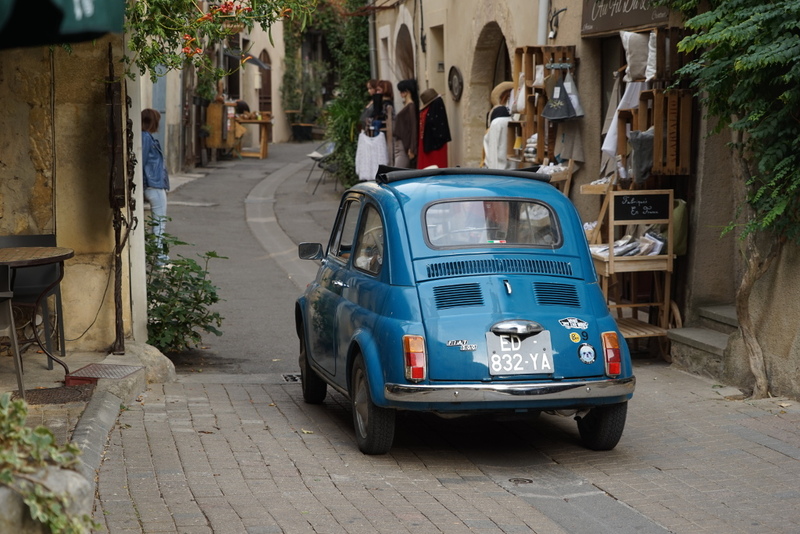 We visited Lourmarin about six years ago and liked it a lot. Topped up at the Super-U at Puyvert, a supermarket that is nearly impossible to find in the middle of nowhere. Fridge now full and we have some wine on board. This entry was posted in France - Autumn 2017 on September 22, 2017 by Kenny Mitchell.